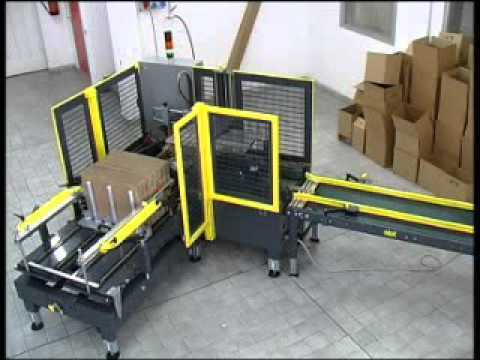 The automatic case erectors F144 is designed to form and at a later stage to seal with adhesive tape the bottom flaps of boxes, ready then to be filled, with a variable output up to 700 boxes/hour according to box dimensions. Machine adjustments are simple and fast. F144 model is easy to operate and is built in accordance with CE safety standards.